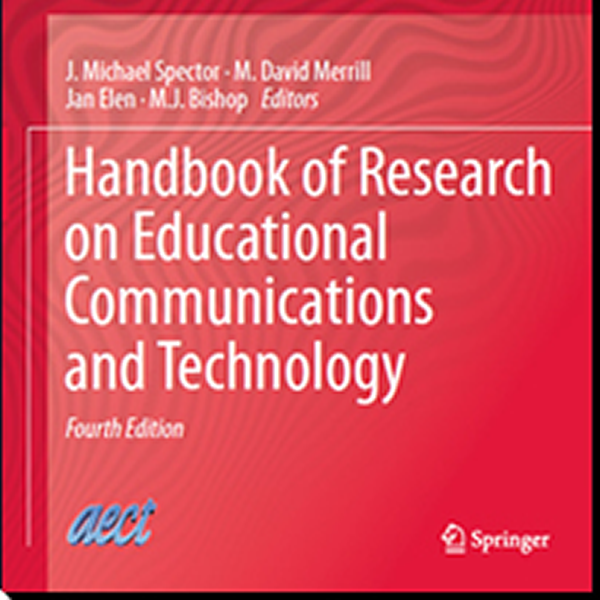 I am pleased to announce that the TPACK chapter has been published in the 4th edition of the Handbook of Research on Educational Communications and Technology. This eagerly awaited 4th edition updates the 3rd edition published in 2008, and contains 74 chapters covering the most core topics of the educational technology field. It also represents the first time TPACK is a topic in the handbook. In this chapter we introduce the TPACK framework, methods of developing TPACK in teachers, and practical and theoretical implications of the TPACK framework. You can access the full article from my vita. The abstract and full reference are included below. Koehler, M. J., Mishra, P., Kereluik, K., Shin, T. S., & Graham, C. R. (2014). The technological pedagogical content knowledge framework. In J.M. Specter, M.D. Merrill, J. Elen, & M.J. Bishop (Eds. ), Handbook of Research on Educational Communications and Technology (pp. 101-111). Springer New York. In this chapter, we introduce a framework, called technological pedagogical content knowledge (or TPACK for short), that describes the kinds of knowledge needed by a teacher for effective technology integration. The TPACK framework emphasizes how the connections among teachers’ understanding of content, pedagogy, and technology interact with one another to produce effective teaching. Even as a relatively new framework, the TPACK framework has significantly influenced theory, research, and practice in teacher education and teacher professional development. In this chapter, we describe the theoretical underpinnings of the framework, and explain the relationship between TPACK and related constructs in the educational technology literature. We outline the various approaches teacher educators have used to develop TPACK in pre- and in-service teachers, and the theoretical and practical issues that these professional development efforts have illuminated. We then review the widely varying approaches to measuring TPACK, with an emphasis on the interaction between form and function of the assessment, and resulting reliability and validity outcomes for the various approaches. We conclude with a summary of the key theoretical, pedagogical, and methodological issues related to TPACK, and suggest future directions for researchers, practitioners, and teacher educators.